An addition to the “Michael Amini & Jane Seymour, A Design Collaboration. Solitaire is contemporary and sophisticated in style, and is woven jacquard on a bronze ground with silver and charcoal filigree frame pattern. 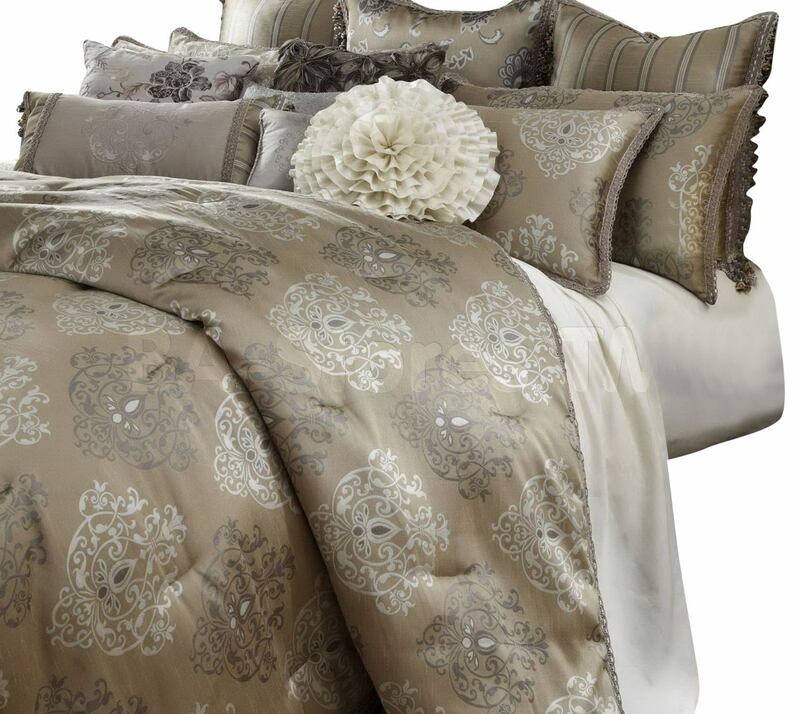 This comforter features intricate dressmaker details including elaborate trim and a subtle sheen, creating a custom look. Six unique decorative pillow with feather inserts complement the bed. This set is available in either a 13-piece King set, or a 12-piece Queen set.